My Acanthoscurria geniculata moulted about 4 weeks ago, she has never had a problem before and has always been fit and well afterwards. This time however I noticed whe looked very lethargic, and not moving much, hasn't eaten much if at all and last night I noticed what looked like cracks in her legs! these look really bad and I don't know what to do or if there is anything I can do! Has anyone seen this or know what it is? you don't have to worry about those "cracks" as they are present in adult specimens of most species. 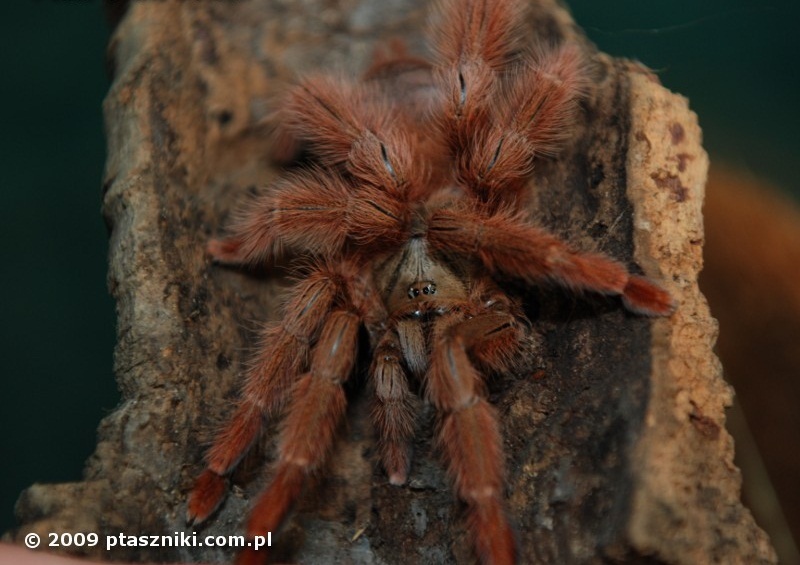 See the picture of my T.gigas adult female. 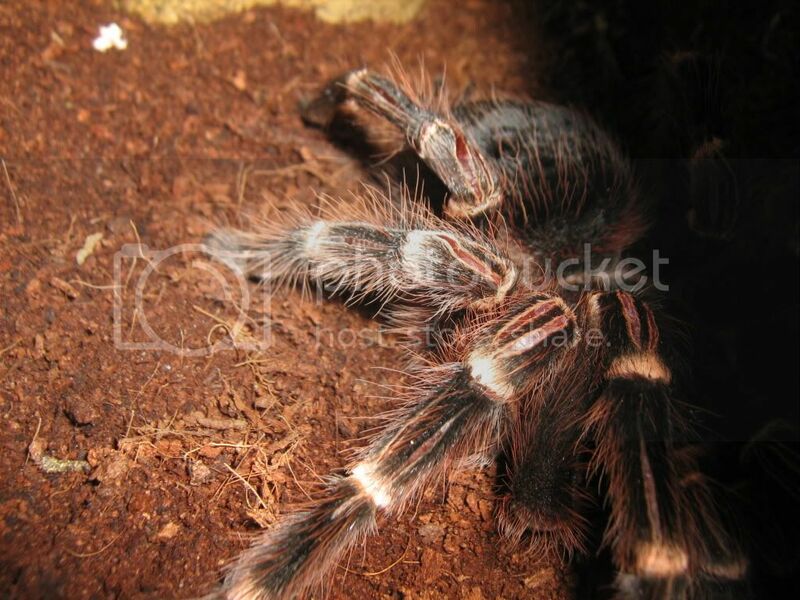 The "cracks" are black, but just after the moult they are much much brighter. 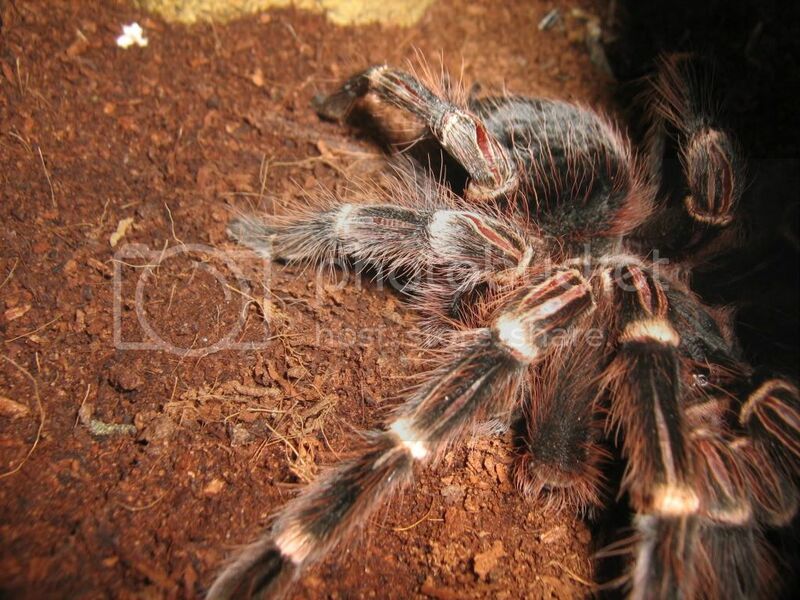 As for being lethargic, my A.geniculata female was the same for about 2 weeks after the moult. It is a big spider, so give her some more time and good luck with her! And here we have S.calceatum also with some black "cracks". 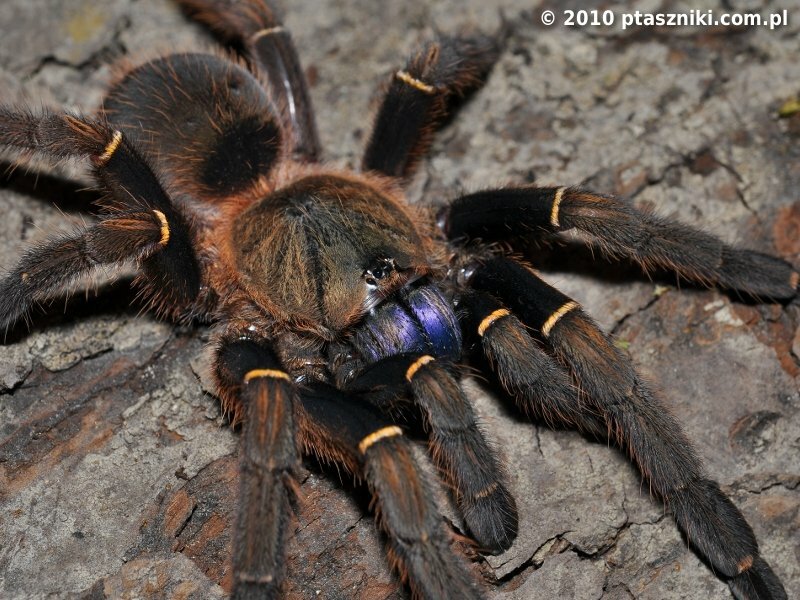 And finally E.cyanognathus adult female just after moult. You can see light coloured cracks on the patellas which turned black after some time. 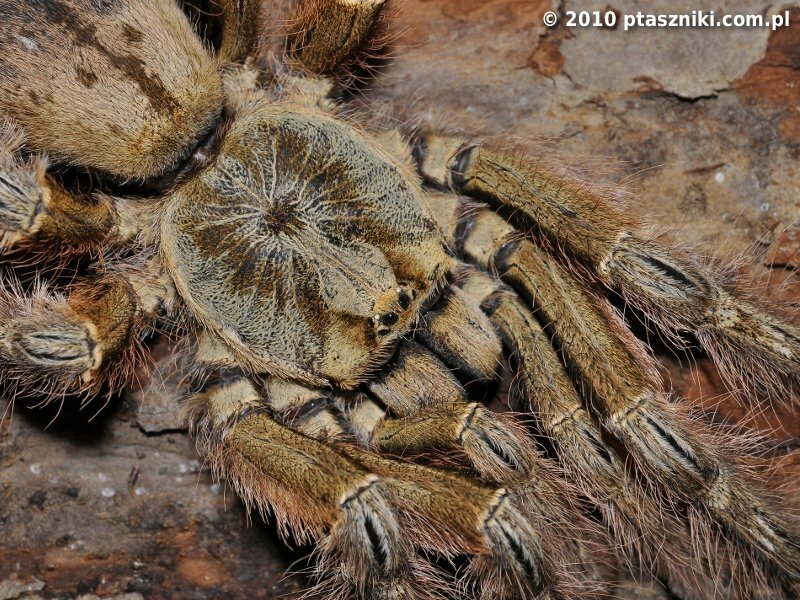 Thanks for the reassurance I've had this T for 5 years now, and she moults roughly the same time every year, late March early April and has always been a quick recoverer. Maybe this one was more of a struggle and tiered her out more than usual. I noticed last night she'd climbed up the back of her tank, so she must be getting her strength back. I'll keep a close eye on her.